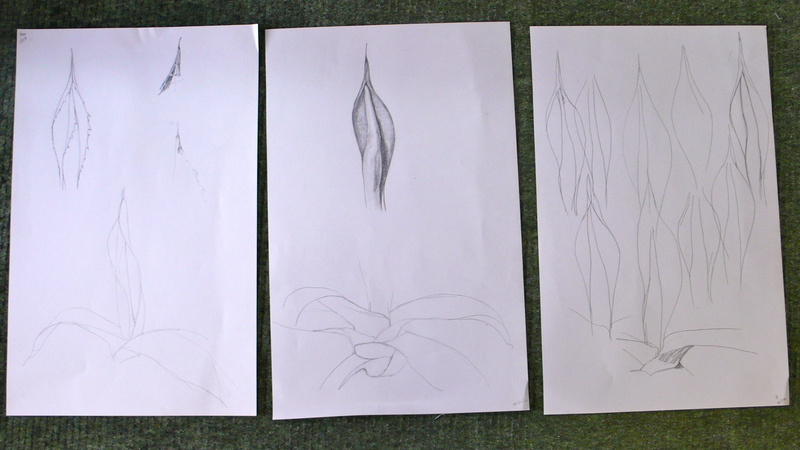 Botanic art is not an easy discipline. Last week I was very disappointed with my efforts with a Chaenomeles blossom which was only slightly alleviated by the excitement of reorganising my workroom. 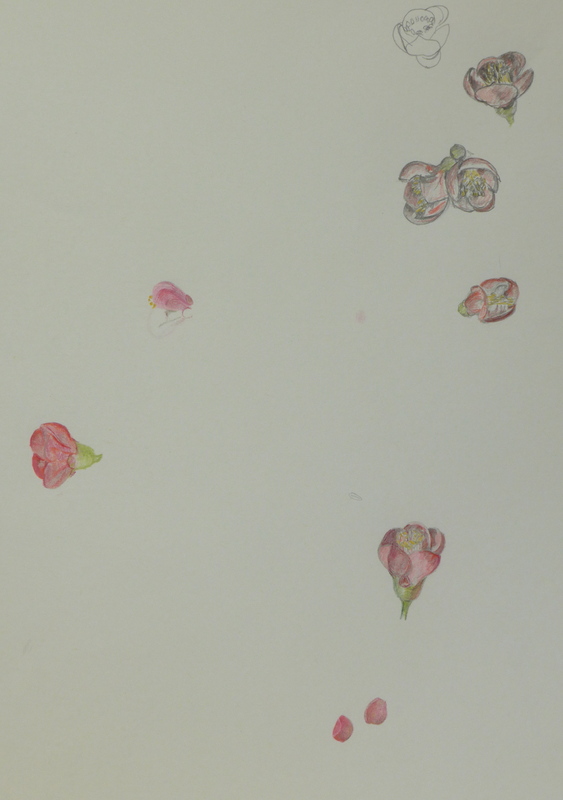 I will share only one of my drawings as it illustrates how difficult it was for me to draw petals (and I am too ashamed of the other drawings). A petal is delicate, light and ephemeral and flutters lightly in the breeze. Not under my heavy handed pencil work; my efforts do not do it justice in any shape or form. So thoroughly discouraged I have put petals to one side for the moment, when I am more skilful I will revisit the lovely Chaenomeles and try again. Thinking I need something a bit more solid to get my teeth into, my eye landed on Photinia Red Robin growing in the garden. Ah ha! tough, bold, good angles, shape and colour and not a petal in site – my next subject. 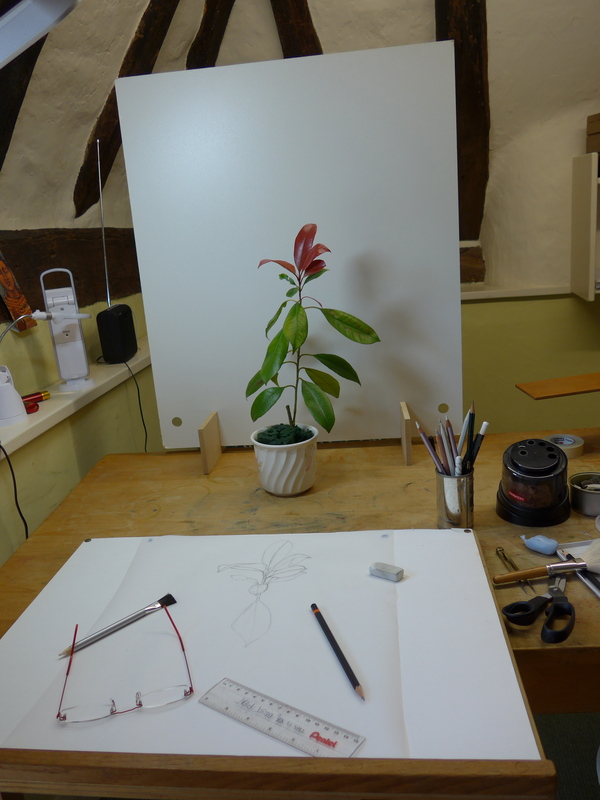 The outline drawing was accomplished fairly painlessly, and by the end of the day I had the outline ready on good paper ready to start the colour work. I think I am going to start drawing stones and rocks, why! Because plants move! They shift, they sag, they droop, they twist, bits fall off, they just change – moment by moment they are not the same. So the next morning all was different, so that is another skill that I need to acquire; the ability to be flexible and the ability to adapt. I am still working on this image, the colours are fun to work with, each leaf is different and I am enjoying the process. I have been listening an unabridged version audio book of Les Miserables, in all the time the musical has been running I have never seen it, and I still have not seen the film – well at least I know the story now. 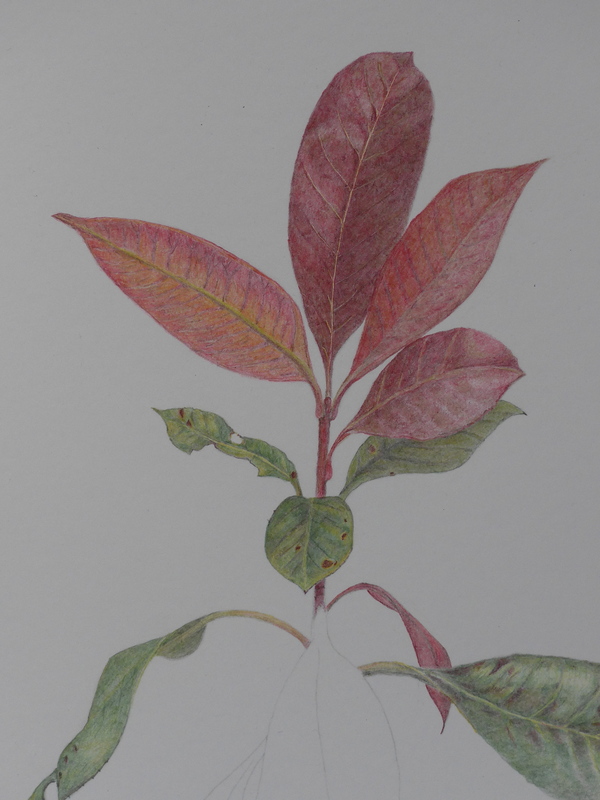 This entry was posted in art, garden, plants and tagged chaenomeles, colored pencil, coloured pencil, drawing, garden, photinia, plants on March 28, 2014 by Draws Shoots and Leaves. Anemochore – A plant whose seeds or fruits are dispersed by the wind. 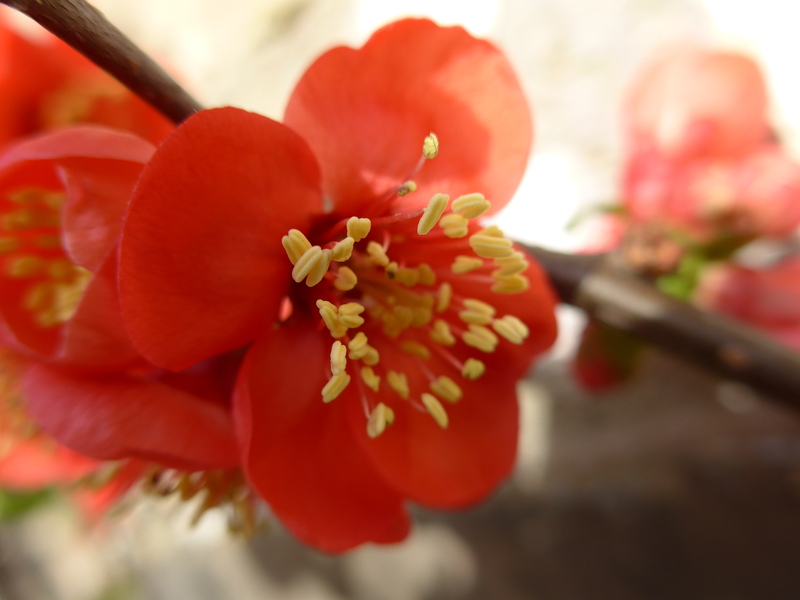 This entry was posted in words and tagged botanic, botanical, word on March 26, 2014 by Draws Shoots and Leaves. I have not picked up a pencil to do a drawing for at least a week but I have been really busy, and now I am sitting down in front of the computer procrastinating again. I decided my problem was that I did not have the proper working space in my room; this is true because I have to clear all one activity away before starting on another. I like to draw and I like to sew, but I also like to leave things out and not tidy them away immediately. So I needed to remove the double bed from the middle of the room to create space for another table and I found the exact bed I needed in a charity shop in Felixstowe. A single bed with an under bed for the second mattress – perfect. The bed was bought and brought home and then the house disintegrated into chaos………… Well I won’t go into the gory details but by the end of the afternoon, almost every room in the house had been affected what with clearing out underneath the bed, finding new bedding, rearranging furniture and generally having a good spring clean. I had to do some hard thinking about some of the stuff I found and I found myself side tracked several times especially when I found some photos and slides. It is hard to put things to one side and to decide to let them go, I find myself clinging – clinging to old balls of wool and the person I once was. I am giving away all (and I mean all) the yarn that I have decided I will never knit – Swish your Stash coming up on Sunday and I AM GOING. 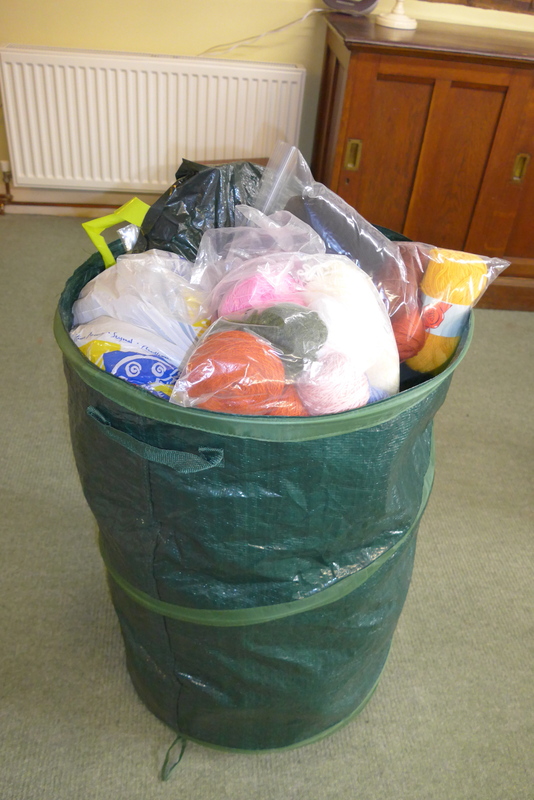 I am keeping sock yarn and hat yarn. All the yarn that will never be knitted by me. Good bye yarn, have a happy life. I have found all the photos of the quilts I have made and I am going to scan them and make a book for myself of the time in my life when I made quilts. I have a lovely open space in the middle of my room. 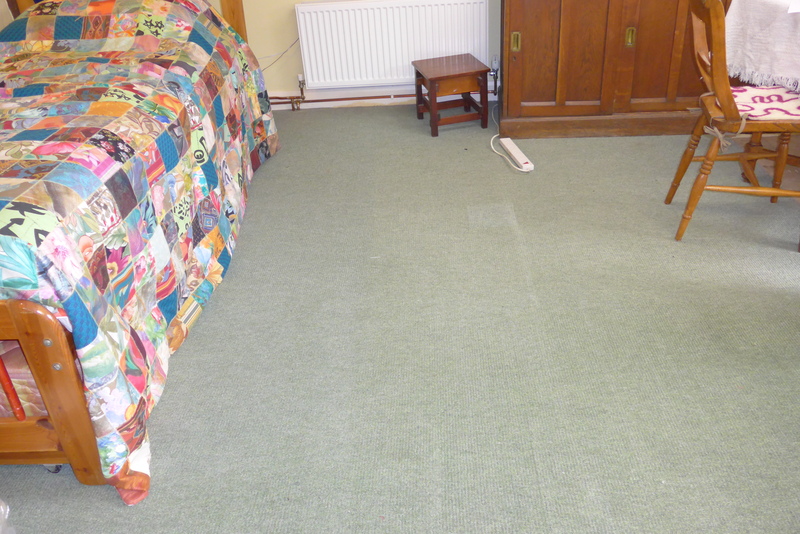 The wide open space – shame about the shabby carpet. 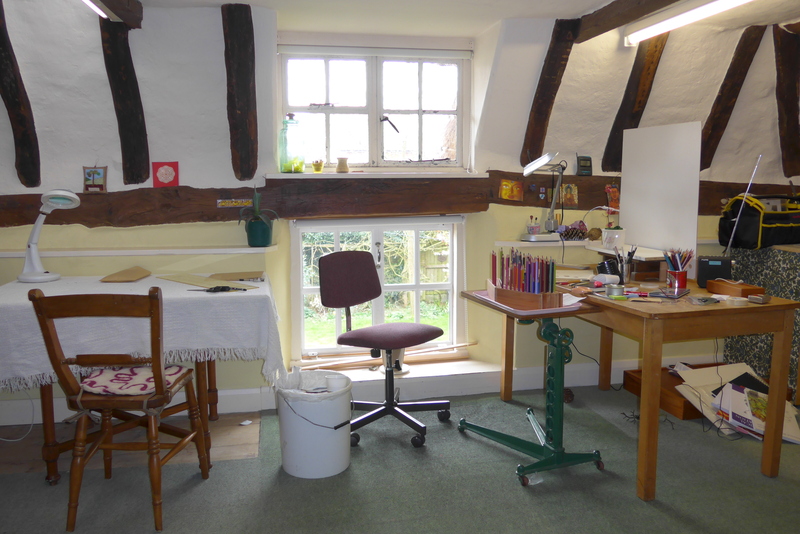 I have a table for sewing and writing and a table for art. Yay!!! Two tables, what luxury, no excuses now…….. Anyone else been procrastinating? Springcleaning (arghhhh)? Letting things go? This entry was posted in Draws Shoots and Leaves and tagged drawing, procrastinating, procrastination, spring cleaning on March 19, 2014 by Draws Shoots and Leaves. Frederick Franck – The Zen of Seeing – ‘I have learned that what I have not drawn I have never really seen, and that when I start drawing an ordinary thing, I realize how extraordinary it is, sheer miracle’. Found on Botanical Sketches and Other Stories and shared here because it echoes my own experience. Who knew there even was a word called ‘cauliflory’ – ah ha! something to do with cauliflowers I guessed. Wrong………my new book defines it as “The production of flowers on the trunk and branches of trees rather than at the ends of twigs” so now you know. 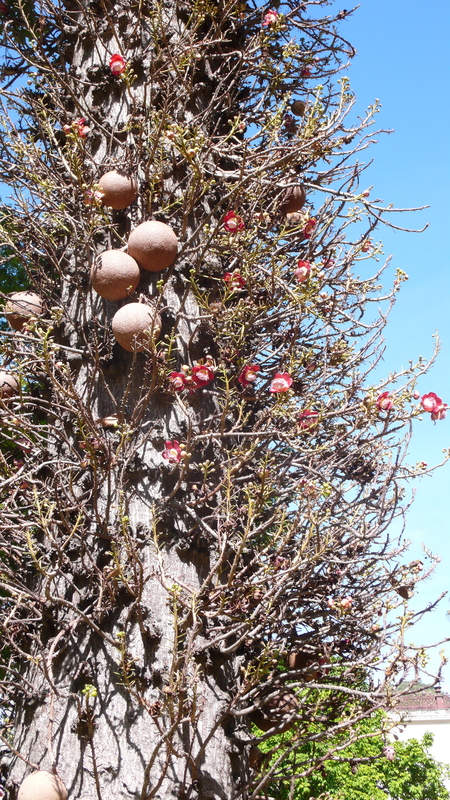 I wonder if the Brazil Nut tree is cauliflorus? The book is called ‘The Cambridge Illustrated Glossary of Botanical Terms’ by Michael Hickey and Clive King. What a brilliant book and some amazing words. I wonder what the word really is to describe a cauliflower………………….. This entry was posted in plants, words and tagged brazil, photography, plants, tree, words on March 14, 2014 by Draws Shoots and Leaves. Well this blog is about learning and I am learning. Every time I sit down and draw I learn something. Another note to self – always take a picture of the finished drawing before you put it away in the depths of your portfolio, this matters right now because I am going to talk about a picture and I don’t have a proper image to show the end result. I need to get to grips with photography and I am not really motivated to do that. 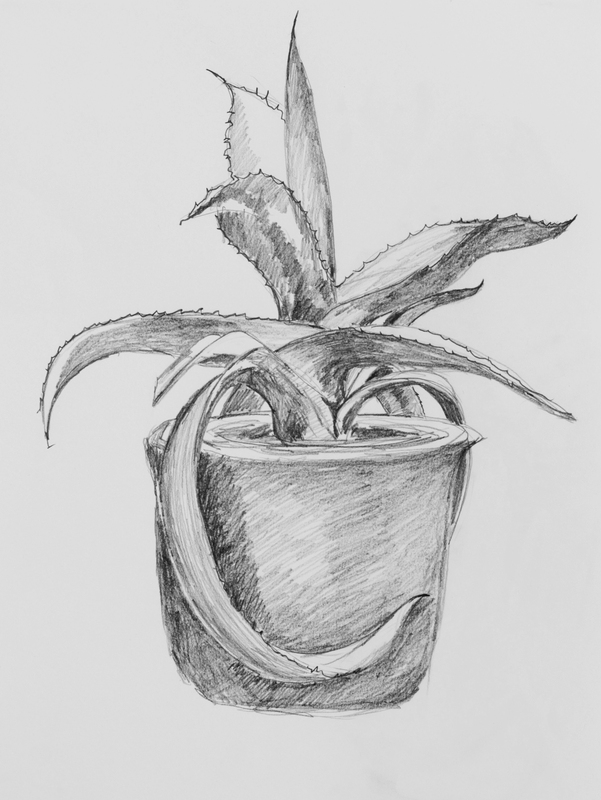 The plant that I was drawing was an agave (I think) although someone called it an aloe so I’m not sure, it was a gift anyway, and is a houseplant in England as it is too cold to put outside. 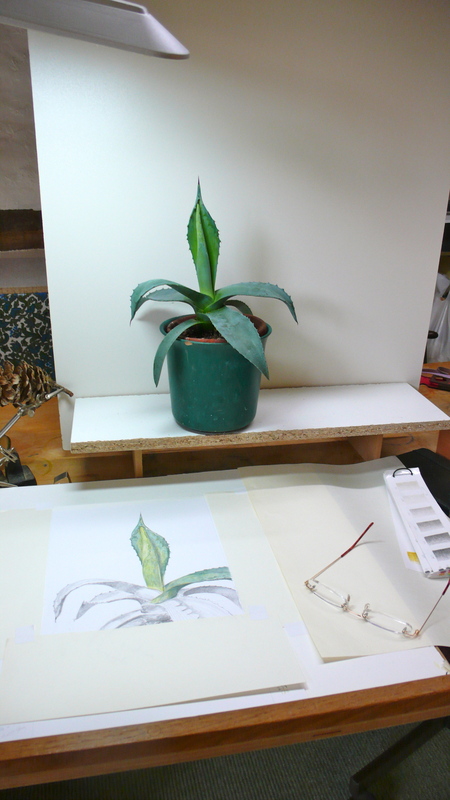 I was interested in the folding shapes of the leaves and the serrated edges and of course, the colour. 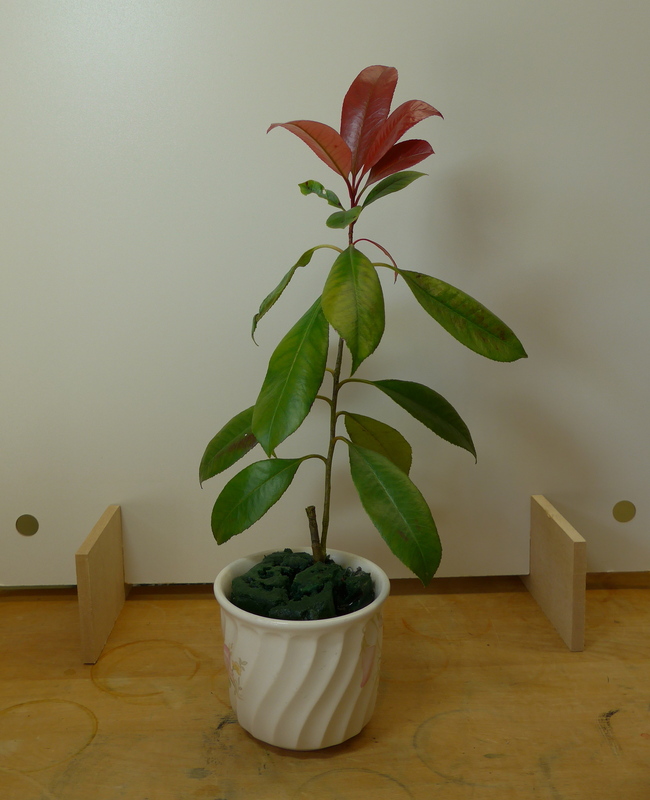 The colour of the plant was a really important quality of the plant, it had a very blueish tinge and a sort of dusty look. It’s so important to choose the colours correctly otherwise there is no chance of making the image match your observations, and dear reader, I begrudged the time to do this. I wanted to get on with things and rushed this process, and consequently paid the price – the drawing was the wrong colours. Even as I was doing it I knew that it was wrong………….. but too late to go back, I was already committed so I went on. What happens if you continue despite the odds? Well you get a sense of achievement at finishing something, but you end up disappointed because you know it could have been better, with a little more effort and just a little more planning at the very beginning. It’s trite but it’s true ‘if you fail to prepare, you prepare to fail’. Nuff said, lesson learned. This entry was posted in art and tagged art, colored pencil, coloured pencil, drawing, pencil, photography on March 11, 2014 by Draws Shoots and Leaves. 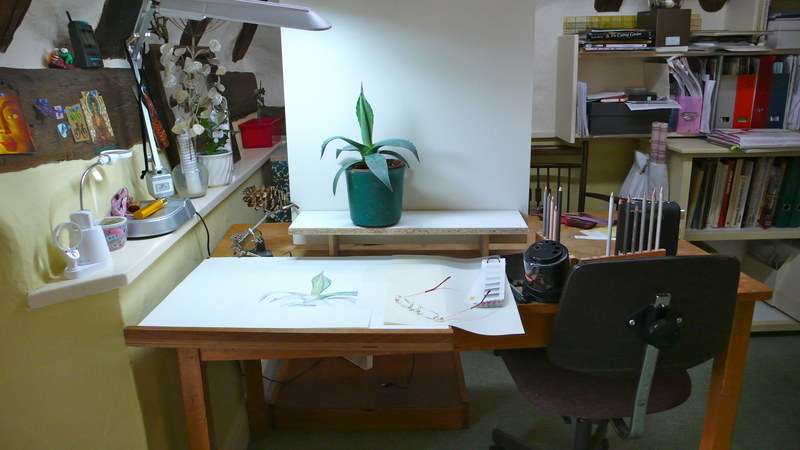 Today’s lesson I want to share with you is so basic that I am ashamed I made the mistake……..try and choose the right size paper for your subject matter. My subject for the day was a branch of variegated ivy from the garden and although I am not a great fan of the plant, the leaves had wonderful twisty shapes and it was in full flower and I thought it looked a challenge. So here I am merrily drawing my quick sketches, (I start off an art day doing ten minute sketches to get me warmed up and to get me over my inhibitions and I use a kitchen timer to keep me on track), when I realised that the timer had not gone off and some considerable time had passed. It is wonderful how engrossing and absorbing art can be when you get in the zone. 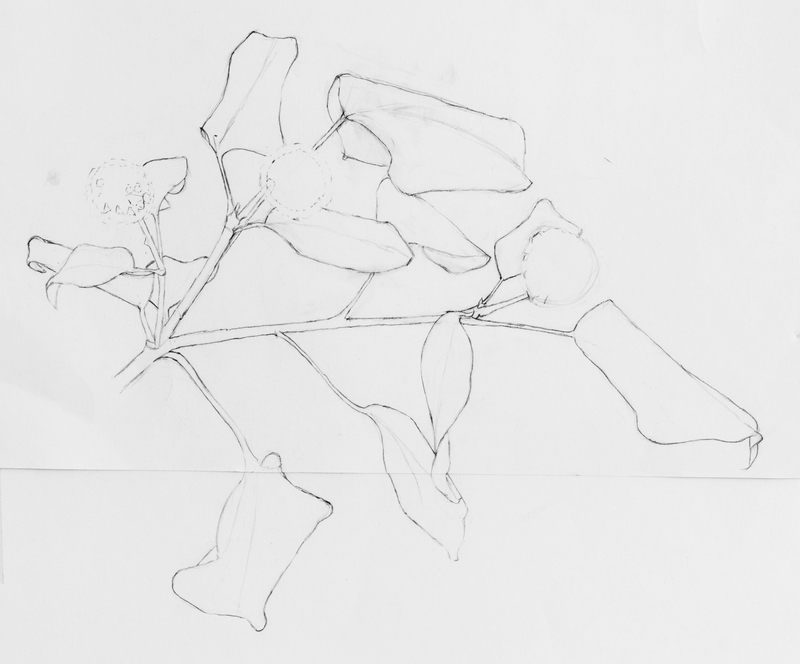 Well in the time that had passed, my drawing had grown; I had started with one of the flowers and now I almost had the whole branch, but I was running out of space on the paper. ‘It’s only a sketch, so no need to be precious’, I told myself so I stuck a strip of paper to the bottom and kept on drawing. By now I was getting quite attached to the ivy so I decided to work it up into a finished piece. Using the tracing paper method, I transferred the image to good paper and completed it using coloured pencils. This picture will always remind me of ‘The Voyage of the Dawn Treader’ which I was listening to on an audio book. 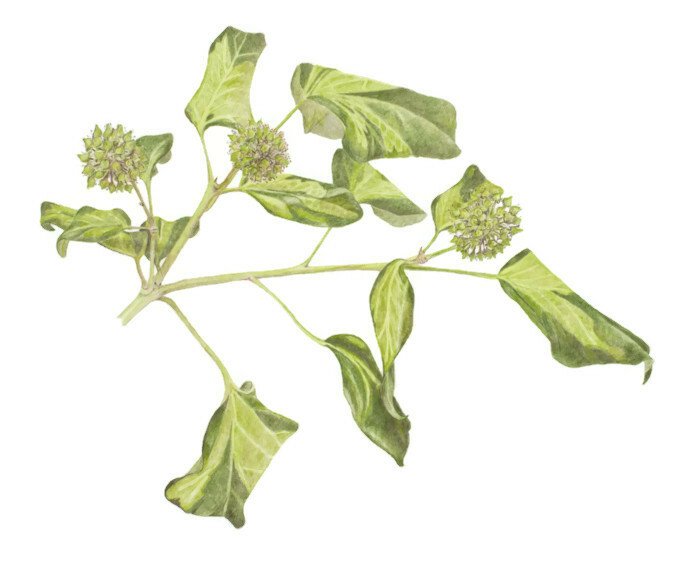 This entry was posted in art, Materials, technique and tagged art, paper, pencil, plants, variegated ivy on March 4, 2014 by Draws Shoots and Leaves.